In this guide, we will show how to use inexpensive Bluetooth Keyboards and related devices to make iOS Switch Control interfaces. This video shows you how to do it and the guide blow shows everything you want to know! 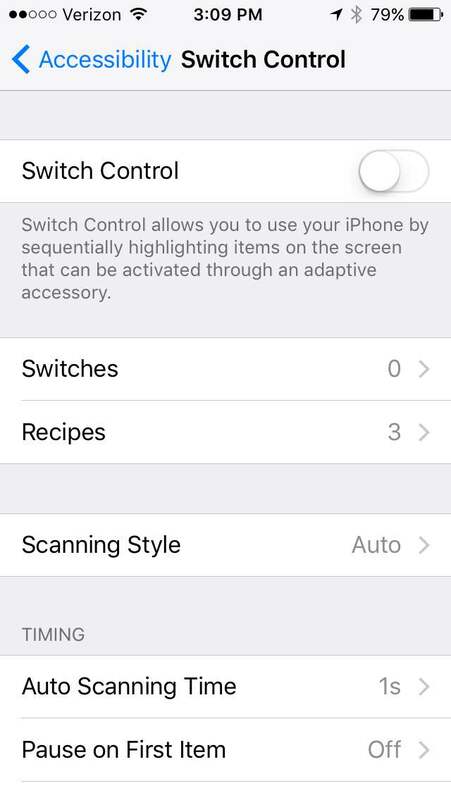 1 What is iOS Switch Control? 5 Share what you Make with this! What is iOS Switch Control? Apple’s Switch Control for all iOS is a powerful AT interface on some of the most ubiquitous devices in the world: iPhones and iPads. It provides a scanning interface using one more switches and will work in most if not all iOS Apps. While not perfect, it does provide access to almost every feature in iOS for those users that rely on switches or have limited mobility. All of these are good options and if you can get approval for them under Medicaid/CMS, that’s fine. But if not, or if you want to make a custom iOS Switch, you can make them out of Bluetooth Keyboards! One thing that is not documented (anywhere we could find) is that iOS Switch Control will respond to a standard Bluetooth HID Keyboard. That means that ANY Bluetooth keyboard that can pair with a iPhone/iPad can be used as a switch. In fact, they are multi-switch devices with a separate switch available for every key on the keyboard. HID is the Human Interface Device standard and was originally developed for USB. It basically is the standard for all keyboards made today-whether they’re USB or wireless. That includes “traditional” keyboard, Numeric Keypads and Maker components that can emulate a keyboard (like many Arduino-compatible boards). Because iOS Switch Control supports HID Devices as switches, we can have an inexpensive and flexible way to bridge the gap between our users and their iPad or iPhone. 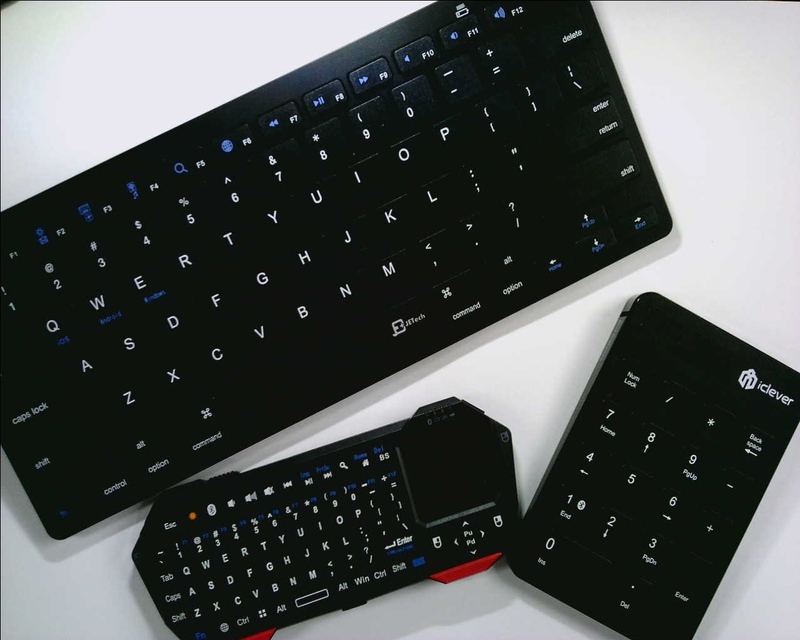 There are two steps to making a Bluetooth Keyboard act like a Switch Control device. First, you must connect it as a normal Bluetooth Keyboard, then you will configure its keys as switches in Switch Control. On your iOS device, open the Settings app and tap on “Bluetooth”. Ensure that Bluetooth is enabled and scroll down to the bottom where it will say “Devices” and have a rotating wheel. Activate the “Pairing” function on your keyboard. This will differ by device, but will generally involve pressing or holding a button marked with a Bluetooth Symbol or blue marking. Select “Switch Control” to access the detailed Switch Control settings. When asked to “Activate your external switch”, tap the key you want to assign. Once your switches are setup, return to the main Switch Control screen and enable Switch Control. Your switches are now active. Note that there are many options under Switch Control. One that you might setup right away is “Scanning Style”. For one-switch use, leave it as “Automatic”. For two-switches, “Manual” is a better choice. You can trigger the keystroke off of a more complicated switch like the EMG Sensor shown in the video. If you’re a power-Maker and want to run with this, here are some ideas that we haven’t tried but think would be awesome! Send keystrokes when a sound is heard using a Raspberry Pi! Use a Pixy Vision Sensor ($70) to create Blink/Wink interface for iOS. Share what you Make with this! We LOVE to see our friends around the world make solutions using our Guides! Please share what you’ve done with this tool and we’ll be proud to share your story. Join us on our Facebook Group to discuss this and other projects. Donate on #GivingTuesday and Get Free Stuff! Adapt-A-Thon 2018 was a Huge Success!